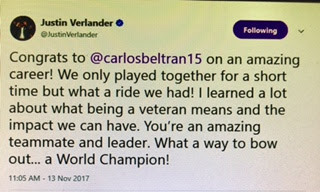 I just posted the following on twitter: "With millions of @Astros fans I say thank you @carlosbeltran15 for being an important cog in the Astros 2017 World Championship-I congratulate you on your [almost certain] Hall of Fame 20 year career & wish you the best in retirement." 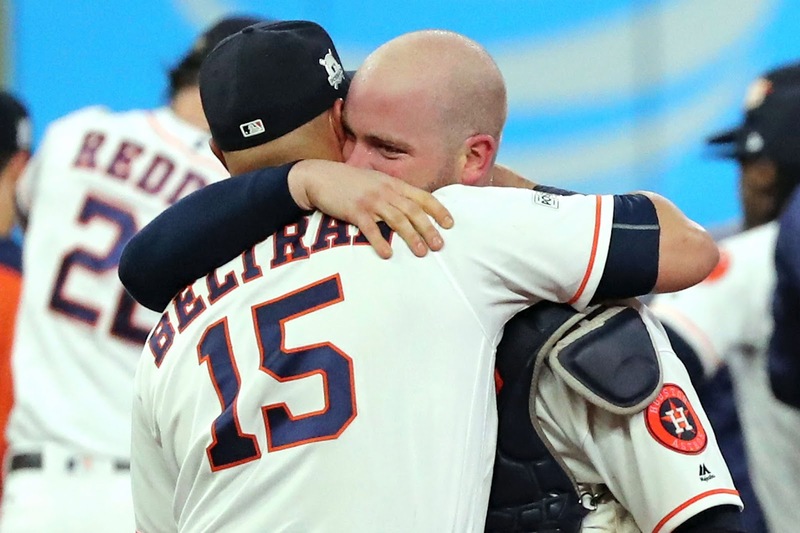 While not a starter on this year's Astros team and mainly appearing on a limited basis as a designated hitter and pinch hitter, Carlos Beltran, along with catcher, Brian McCann, was instrumental in providing the leadership needed for this 2017 team of young superstars to push them over the top. He was like a role model father figure to some, and also gave important information, especially about hitting to many of the young hitters. While a main cog on the 2017 Astros team, Carlos Beltran was also a member of the Astros in the 2004 playoffs when he put on one of the greatest, if not the greatest, hitting exhibition ever in the Major League Baseball playoff history. From MLB.com: "In the playoffs, Beltran had a performance for the ages. He hit two home runs in Game 5 of the NL Division Series against the Braves, and then hit one homer in each of the first four games of the NLCS against the Cardinals, including the game-winner in Game 4. He hit .435 with eight homers, 14 RBIs, six steals and a .536 on-base percentage in 12 playoffs games for Houston." 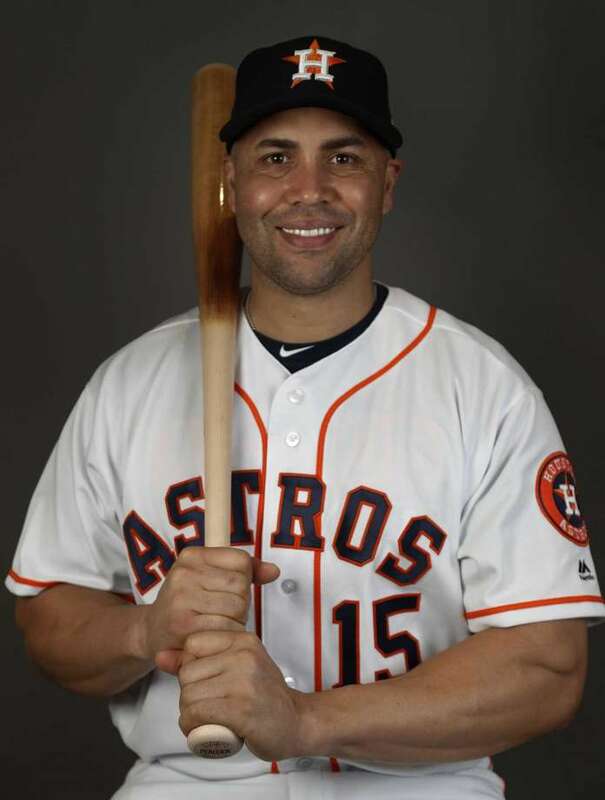 Carlos Beltran, not just a great baseball player, but a great man in the Houston community, especially displayed after the devastating effects of Hurricane Harvey and his work for his home country of Puerto Rico after the devastation from Hurricane Maria. Please read my post: "Julia Morales Emotional Interview With Carlos Beltran" here. Carlos Beltran's illustrious career will almost certainly be rewarded with a first ballot Hall of Fame recognition. There will be no one more deserving. Congratulations and best wishes for a great well deserved retirement, Carlos Beltran! If he wants to , he would be a great coach, bench coach or manage. I agree Brad....I hope the Astros will hire him!